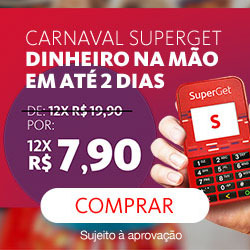 Desconto a partir de 2% á 20%. Digite o código do cupom no carrinho. Cupom de 20% OFF em seleção em lançamentos de livros (Código: cupom ) - Válido em produtos vendidos e entregues pelo Submarino! Todos os E-books com +30% de desconto usando o cupom. Cupom válido somente para a compra de e-Books. Só será permitido um resgate por CPF (Código: cupom )! Cupom válido para produtos da lista. Cupom de Desconto Multi-Ar / Leveros de R$100! Enjoy 15% Off Your Business Class Flight from the USA and Canada to the World with Etihad, using this voucher code. Promo code offer is valid for bookings made on etihad.com until 19 April 2019, for travel from selected Europe markets* for outbound travel in Business Class between 1 July - 31 August 2019. All travel must be completed by 31 August 2019. Promo code offer is valid for bookings made on etihad.com until 19 April 2019, for travel from selected airports in the USA and Canada, for outbound travel in Business Class between 1 July - 31 August 2019. All travel must be completed by 31 August 2019 for Business Class. Discount of 15% is applicable on Business Saver fares only. Discount is applied per person, excluding taxes and fuel surcharges, and is shown at the time of booking online. Infant fares are not applicable for discount. Promo code is valid for return trip fares on flights operated by Etihad Airways only.